Summer Style is all about expressing yourself in your own unique way - mixing patterns, textures, colors and styles to create your authentic look. 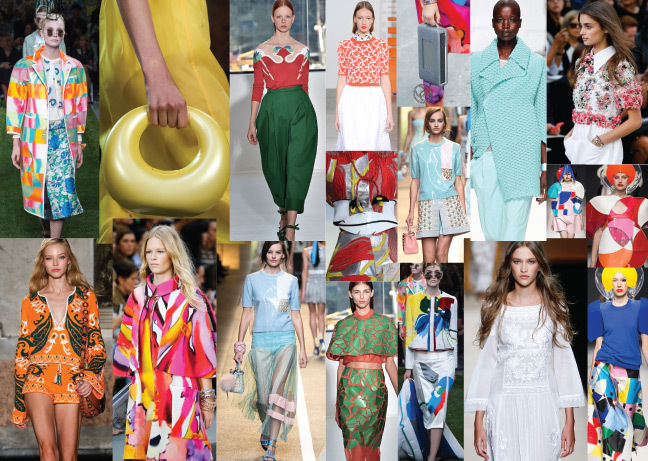 This season, pretty does it - in colors, fashion and attitude. Pretty with a pop of happy - candy-colored pastels, grown-up gingham patterns and little white sundresses, plus easy neutrals, laser cuts and a swing of fringe. Darling runway looks were unexpectedly fresh and fun - delicate lace and utility chic; adorable crop tops over billowy, embroidered skirts; bold, luscious florals paired with striped menswear fabrics. The colors of Hello Pretty! from Gelish and Morgan Taylor inspired by the high-spirited, colorful cuteness of Japanese pop culture - are the season's must-have accessories. Pop-up purples (Tokyo à Go Go and Anime-zing Color), pretty-as-a-picture pinks (Pop-arazzi Pose and Look at You, Pink-achu! ), plush pistachio (Do You Harajuku?) and precious peach (Manga-Round with Me) make expressing through dressing even more fun this summer.